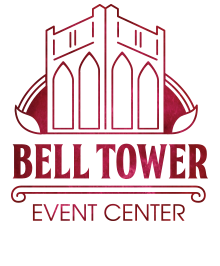 The Bell Tower Event Center is Downtown Durant’s best-kept secret. Built in the early 1900’s, this historic Methodist Church is now the venue for your event. Stained glass windows, exposed brick walls, and restored wood floors make any event elegant and historic. Check out our three venues to choose from: The Parlor, The Chapel, and The Loft. Secrets out! Schedule an appointment to tour this venue today.